Entering your company for awards is not only great fun, it’s also great for business. You go out for a meal and a drink, dress up in your fancy clothes, have a great time, all the while doing the world of good to the marketing of your business by showcasing your talent and quality work. Why should I enter into an award? Entering your business for awards can be an excellent tool not only to get recognition for all the hard work you’ve done, but to grow further and expand your business. If you are shortlisted or win an award, it can do the world of wonder to your brand image; it showcases the calibre of your work and sends out the message: we do a darn good job. Many awards have media partners, meaning you get free coverage of your firm’s achievement, as well as the ability to use winner’s logos on your digital and offline communications. This recognition can do a lot to help improve client retention, as well as attract new customers through your growing reputation. Being entered for an award can also improve employee motivation. It sends out the message that you recognise and value the hard work of your employees and can give them an incentive to keep working hard to get on the shortlist. If you make the shortlist, it also gives your employees the chance to go to the event, dress up in their glad-rags and have a great time! Another reason to enter your business for awards is it gives you the opportunity to benchmark against your peers or competition and understand what others are doing which you aren’t, and vice versa. Industries are always evolving and changing with new innovations and demand for excellent customer service. Attending awards evenings can be a fantastic way to get a first-hand insight into what you could be doing differently to keep up with the competition or cement yourself in your niche. 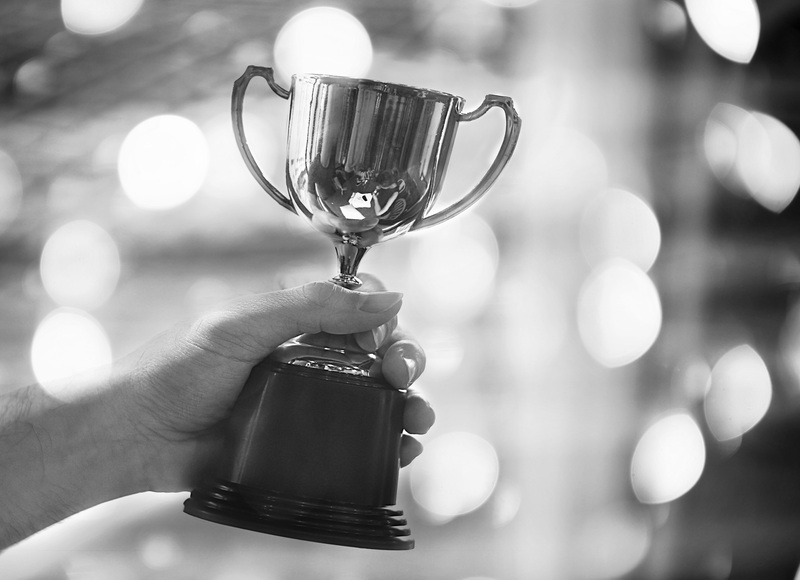 As a marketing agency that primarily helps small and medium-sized businesses in Kent, Sussex, Surrey and greater London, we’ve pulled together a guide to some of the local awards that you could enter to raise the profile of your business. Remember to look out for awards that are relevant to your industry as well. Kent Invicta Chamber Awards - Recognising and rewarding excellence in Kent and Medway, these awards have entrants from a variety of sectors, with categories including: best employer, best construction project, excellence in customer service, best manufacturer, promising new business and technology business of the year. Entries for 2019 are currently open, with the deadline for applications on 25th The awards ceremony will take place on 21st March at Canterbury Cathedral Lodge. 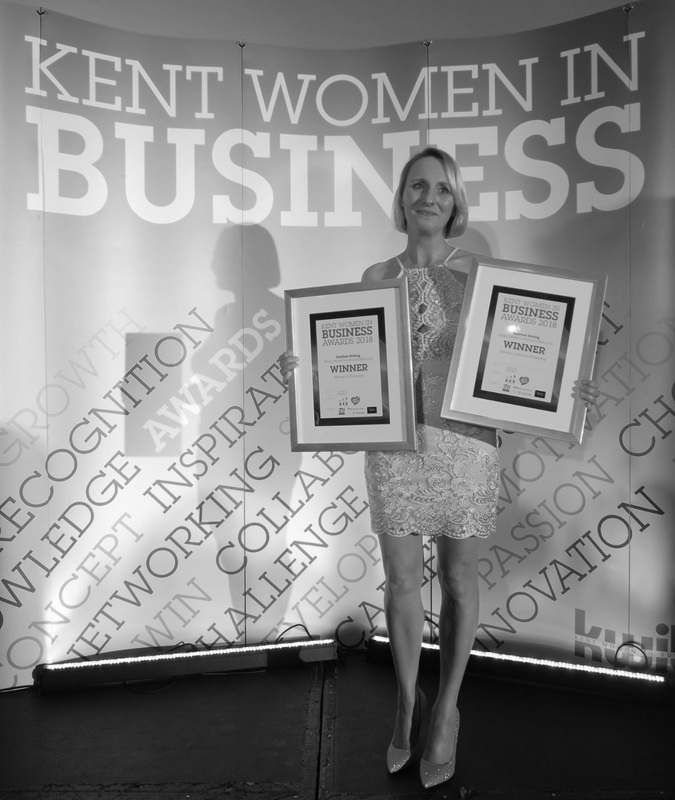 Kent Women in Business - Awards celebrating the achievements of women in business from across the county, covering a range of categories including: start-up business of the year, mumpreneur of the year, business woman of the year and women’s champion award. Entries for 2019 are currently open with the deadline for nominations falling on 11th January. The awards ceremony will take place on 8th March (International Women’s Day) at the Great Danes Hotel. Kent Excellence in Business Awards (KEiBA) - Run by KM Media Group and Kent County Council to recognise and reward excellence in Kent’s businesses. Federation of Small Businesses, Celebrating Small Business Awards – South East ­- Recognising the achievements of small businesses across the South East, they encourage as many small businesses as possible to enter in recognition of the value SMEs contribute to the region’s economies. Categories include Microbusiness of the Year, Scale-Up of the Year and family Business of the Year. Applications close on the 1st March 2019 for a final ceremony on the 12th April at Sandown Park Racecourse. Kent Creative Awards – These awards are to celebrate business, organisations and individuals who have contributed to artistic and cultural life in Kent, aiming to motivate entrepreneurship in the creative sector. Categories include: 3D art, design, music, publishing and written word and an overall winner. Submissions open on 1st July until the 31st August for an awards ceremony in November. Kent Care Awards – A chance to show appreciation to carers who work incredibly hard and care homes and homecare services who provide an exceptional service. All winners of these awards are automatically entered as nominations for the Great British Care Awards. Kent Health and Beauty Awards – Celebrating success of local businesses in the health and beauty industry – look out for the entry for 2019 opening in the new year, with the awards ceremony in early summer. The Rural Business Awards – South East – Aiming to acknowledge the breadth and depth of opportunity presented by the Great British countryside and celebrate rural achievements. Kent Business awards – With three separate events for Canterbury, Ashford and Maidstone, these awards cover a range of categories for businesses in their geographical areas. Ashford: Details for the 2019 awards are not currently available online - but, keep an eye out, they’re sure to become available soon. Times of Tunbridge Wells/ Times of Tonbridge Business Awards - Celebrating local businesses, be sure to keep an eye out for when dates are available for the 2019 awards. Swale Business Awards - Celebrating excellence of local businesses from Sittingbourne, Sheppey and Faversham. Keep your eyes peeled for 2019 dates. Sussex Business Awards - Celebrating business county-wide, the Sussex Business Awards include categories such as: Start-up of the year, innovator of the year, employer of the year, business of the year and businessperson of the year. With the ceremony held late November, look out for entries opening at the end of the summer. Lewes - Business awards in the local Lewes district, with all the normal categories as well as Best Green Business and Tourist Destination of the Year. Entries normally close at the end of April. Brighton and Hove Business Awards – Supported by the city’s leading organisations who aim to build the Brighton brand, with categories including Brightonian of the Year and Corporate Fundraiser of the Year. The ceremony is held in July, so look out for entries to open in the spring. Gatwick Diamond Business Awards - Supporting businesses which have shown innovation, inspiration and real commitment, the Gatwick Diamond business awards support businesses in the ‘Gatwick Diamond’ area, from South London to Brighton, and from Cranleigh to the rural communities to the West of Tunbridge Wells. Hurry! Applications for 2019 close on 7th December for a ceremony on 21st March at Effingham Park Hotel. Eastbourne Business Awards - Celebrating businesses within the circulation area of the Eastbourne Herald https://www.eastbourneherald.co.uk, awarding Business Personality of the Year and Lifetime Achievement, among others. The event is held around early November, so look out for entries opening from the last summer. Awards are a great method of displaying your prowess in your field and can be used as an excellent marketing tool, giving objective endorsement that you’re good at what you do. Many people don’t like blowing their own trumpet; if you don’t feel confident filling in an award application yourself – we’re happy to help!